While two-factor authentication is becoming a highly sort after prerequisite for online security, most web users find it pretty hard to set up, and as a result tend to neglect this very critical mechanism for safety. Two-factor authentication (2FA) is a form of multi-factor authentication method of confirming a user's claimed identity by utilizing a combination of two different factors: something they know, or something at their possession, before giving them access to their account. It offers a credible security that even hackers find very difficult to beat, and thus many web service providers have implemented it to better safeguard their users account. 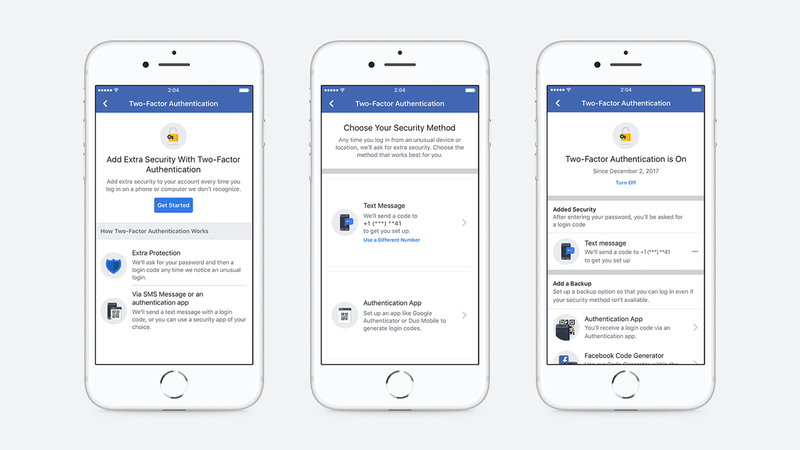 Facebook in a bid to encourage more users to implement the security mechanism has simplified the process for two-factor verification, by adding support for third-party authentication apps like Google Authenticator and also streamlining the process to make it easier to set up in the first instance. The move makes it possible to use the 2FA without entering your phone number on the platform just to bring additional security to your account. Also, the idea of third-party support is necessitated as SMSes aren’t generally regarded as more secure method for 2FA because hackers can to take control of your SIM and through a process that relies heavily on social engineering, which is something that isn’t possible using hardware-based authentication devices or third-party apps. 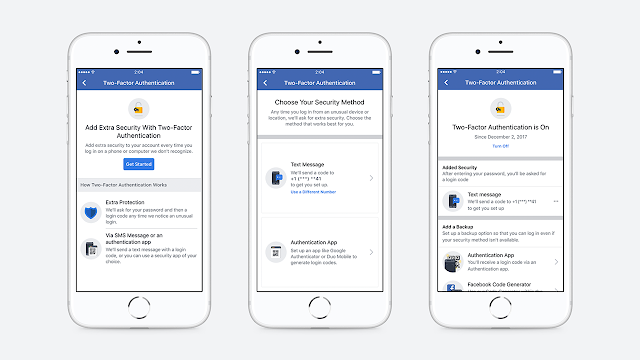 The new 2FA support is now available in the “Security and Login” tab in Facebook settings if you wish to implement it right away.